Don't use a lift in a pretend fire! Thanks, Vicki. 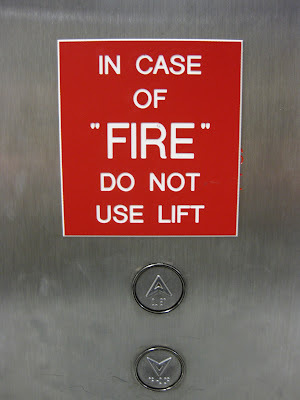 I choose to believe they mean if the song by Jimi Hendrix is playing you shouldn't use the lift. @great Joe, works for me.